Express shipment possible for delivery tomorrow, 20.04.2019! 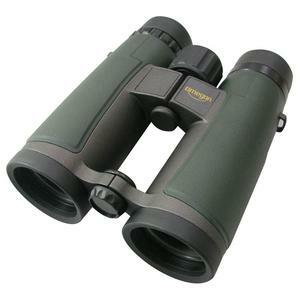 Omegon Nature HD binoculars offer you high performance optics at a fantastic price! Enjoy brilliant, pin sharp image quality. 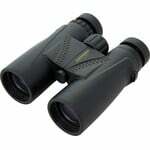 Reap the benefits of these binocular for your nature and animal observing. These binoculars have an ergonomic design combined with low weight. Binoculars have the job of bringing distant objects nearer and showing them clearly. Omegon Nature HD binoculars have even more to offer however: They bring you nature in all its countless facets. Butterflies, stars, mountains and lakes - all this is a part of it. Images are true-to-life and you show even the finest details. You can even spot the reflections in the jet black eyes of birds. Perhaps you have heard the calls of marmots or other small animals in the mountains? This will no longer be just a sound to you. When you locate the little animals you will even be able to observe the fine shading in their fur. Such thrilling moments for nature lovers are taken care of by the special ED glass and phase coatings on the BAK-4 prisms employed. 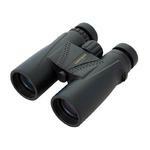 The binoculars are furnished with high-quality FMC coatings on all lens surfaces (glass/air). This means the lenses have very high optical clarity and ensures good elimination of irritating reflections. With its 42mm front lens diameter, the Omegon Nature binoculars are compact and fit in every pocket. Even in twilight you will still have a bright image. This is of course a huge advantage when observing nocturnal animals. You will not just see a vague shadowy shape, but will be able to recognize the particular animal species. Take your binoculars with you wherever you go. They can weather a surprise rain shower with ease. They are waterproof and nitrogen-filled, so the internal elements are completely protected against fogging. The sturdy magnesium housing contributes to the low weight. Their slim design means these binoculars sit particularly well in the hand. Their rubber armour makes them shockproof and very easy to grip. Focusing is fast and simple by means of the focusing wheel. The focus wheel is very easy to reach and can be operated using either hand. Its smooth operation contributes to its ease of use. This means it is particularly easy to find the exact point of sharp focus. Observe even very close objects! You still have a sharp image at only 2 meters away. This feature is very popular with many bird watchers, yet only a few binoculars can offer this. Try out other things too: small plants, a ladybird, or a hedgehog searching for food. 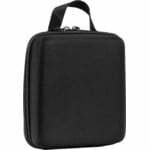 The sturdy metal eyecups are rubber-coated and very comfortable to use. The eyecups can be extended in two steps to correspond to your own personal distance for comfortable eye relief . The binoculars are excellent for hand-held use, but can also be mounted on a normal tripod with the optional tripod adapter if required.